R.A.K.I. Computers Recycling adds OHSAS compliance to its repertoire and becomes the first E-recycler in Houston to achieve the newest R2 standard. As of August 2014, R.A.K.I. is a proud holder of the newest R2 standard as well as OHSAS 18001.The commitment to secure, safe, and green disposal of electronic hardware is the core function of a certified E-recycler and apparently R.A.K.I. Computers Recycling is an industry leader in the Houston area. The R2 certification was created roughly 6 years ago as a prestigious award granted to the most rigorous firms of the E-recycling industry. This award upholds best practices in the entire recycling process from the acquisition of equipment to its chain-of-custody documentation. This marks a special era for the firm, as it becomes the first E-recycler in Houston to obtain the 2013 R2 Standard which is the latest R2 version to date. The revamped R2:2013 was developed by the R2 Technical Advisory Committee aiming to improve the readability and understanding of its 2008 predecessor. Moreover, R2:2013 provides supplementary best practices, enhancing the overall quality of the certification. As a result of its tedious and demanding audit, R.A.K.I. Computers Recycling has joined the ranks of the E-recycling elite by securing its renewed R2 license. But it doesn’t end there, R.A.K.I. also adds yet another certification to its arsenal; the OSHAS 18001. 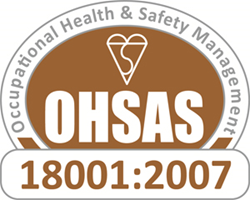 Many readers will be familiar with OHSAS which stands for Occupational Health & Safety Assessment Specification. This new certification illustrates that R.A.K.I. has taken practical measures to manage the operational and non-work related hazards of its facility. While OHSAS compliancy is not mandatory, R.A.K.I. insists on bettering its operations to exceed industry standards. “The chief goal is to ensure that our operations are environmentally friendly and safe from top to bottom. Our clients need to know that they are working with a qualified partner that will give them peace of mind when eliminating their expired IT and electronics. So our certifications allow us to do exactly that” says Darien Harris, Business Developer at R.A.K.I. Computers Recycling. This focus on maintaining a thorough portfolio of licenses and certifications allows R.A.K.I. to better align itself with key industries such as oil and gas, manufacturing, and medical in which stringent standards from suppliers are commonplace. It also illustrates that R.A.K.I. is proactive in sustaining community confidence as a responsible recycling facility! Based in Houston TX, R.A.K.I. Computers Recycling has provided E-recycling solutions to the residential and corporate community for over 23 years. R.A.K.I. prides itself in servicing major accounts with the focus and customer service of a family owned business. For more information on services and accepted items you can visit the R.A.K.I. Computers Recycling homepage.